Puerto Vallarta is a spectacularly cosmopolitan destination and has been a popular go-to place for years for the gay community. 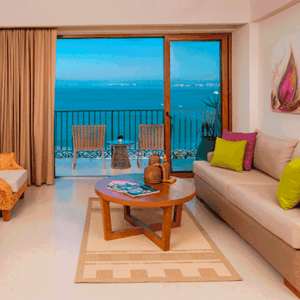 The Almar Resort and Spa is the go-to place for a gay hotel in Puerto Vallarta. Be greeted by rainbow flags and get ready for some “Fiestas Tapatias” in the relaxed and open-minded beach town and find a real treat for sun lovers on Mexico’s scenic Pacific Coast. Its tropical climate, tranquil beaches, liberal ambience, and its many natural wonders make Puerto Vallarta the perfect holiday destination. 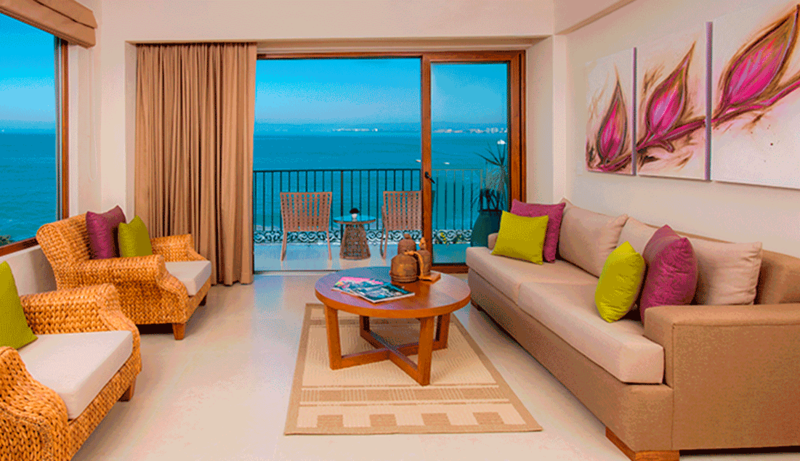 Enjoy an ocean view in this beautifully appointed room with a spa-style bathroom. You’ll find European bath amenities as well as luxury beds in King or Queen sizes plus a small seating area. Equipped with a comfortable King Size Bed, you’ll also find a double sink bathroom and L’Occitane bathroom amenities. Enjoy the jacuzzi on the terrace. The room doesn’t have an ocean view. 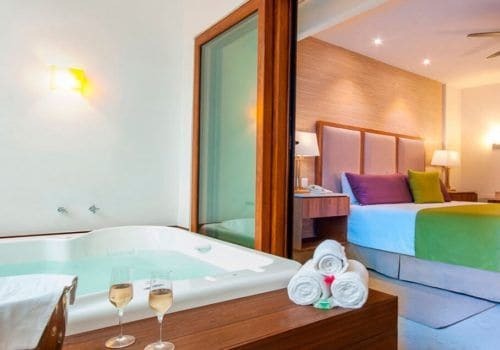 With a jacuzzi in the room, this suite provides stunning ocean views as well as being furnished with an extremely comfortable bed. Enjoy L’Occitane bathroom amenities as well as a kitchenette area. 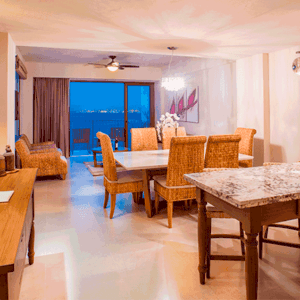 The ultimate room – including both a large dining area and jacuzzi. With fine views of the bay and beyond, you will be able to enjoy a private terrace and kitchenette and bathroom complete with two sinks. The beach club that’s part of the resort is sure to have you entertained for many days. The high-end club includes dining, a pool and cabanas. It’s right by the gay beach and has a welcoming and lively crowd. There is a DJ to spin the tunes and great food and drink to keep you happy. The pool parties are some of the best known in the area and the salt-water infinity pools offer stunning views. There’s also a sushi station and delicious snacks in the lounge area. We can arrange your gay wedding in Puerto Vallarta. With the help of a wedding planner, who will take care of everything, you can enjoy your special day at one of the most beautiful locations in Puerto Vallarta. From the wedding cake and meal to the ceremony itself, your special day will be one to remember. Please ask about our bespoke wedding service which will also take care of the arrangements for your guests as well as the legal requirements. Almar’s beachfront location makes it the perfect spot to try watersports. Enjoy diving, surfing, paddle boarding and kayaking as well as volleyball, table tennis, massages on the beach, hiking and beach walking.